Susan Quinn is the author of Furious Improvisation: How the WPA and a Cast of Thousands Made High Art Out of Desperate Times and Marie Curie: A Life, among other books. Her work has appeared in The New York Times Magazine, the Atlantic, and other publications. She is the former president of PEN New England and lives outside of Boston, Massachusetts. 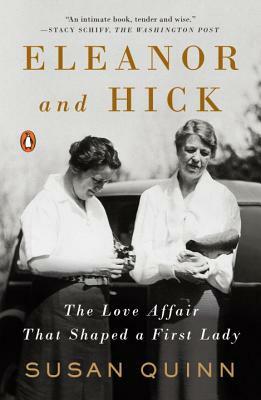 “Quinn sorts through the over three thousand letters the two sent to each other — honest, passionate and principled correspondence — to create a fascinating picture of the power and joy of the women’s “subversive act” and its beneficial impact on the country at large.”— Brit & Co.